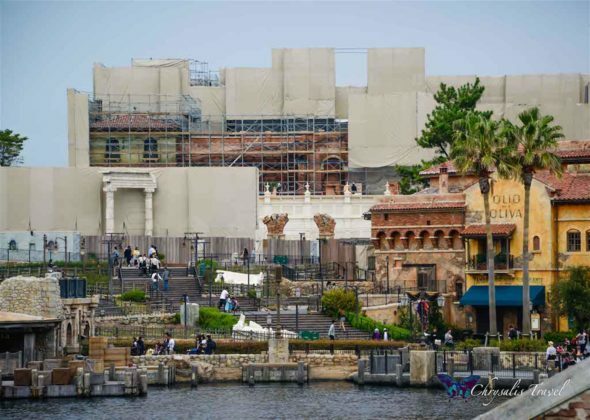 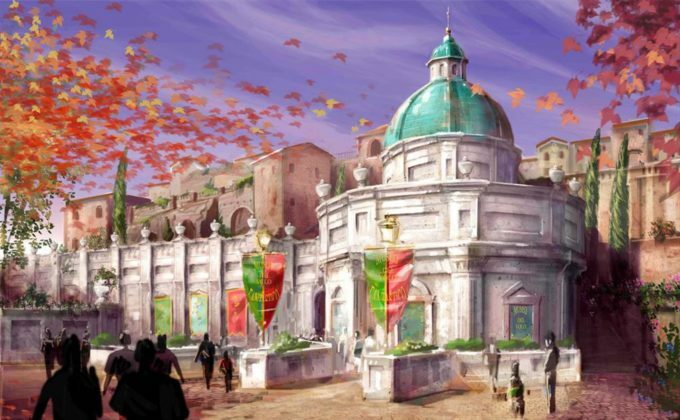 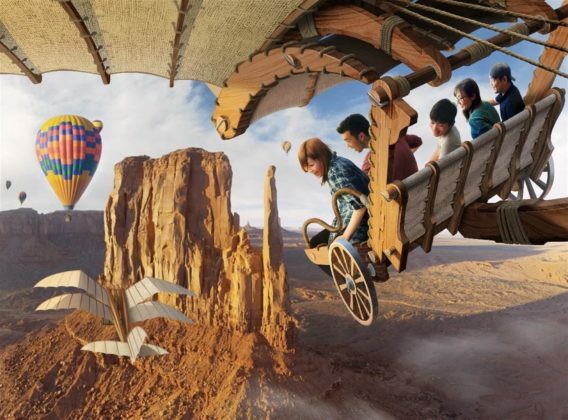 A simulator attraction, Soaring: Fantastic Flight, is set to open at Mediterranean Harbor in Tokyo DisneySea. 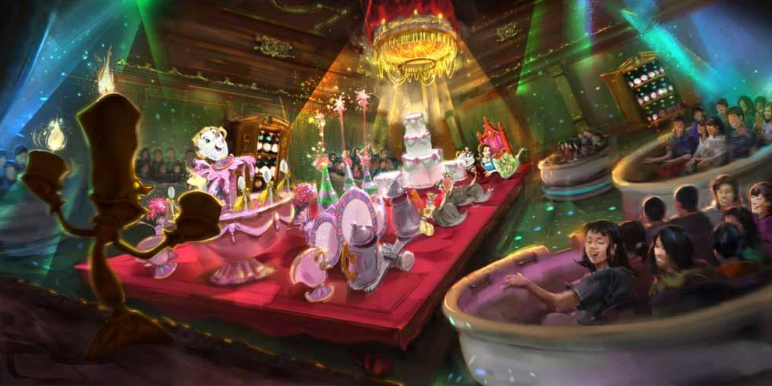 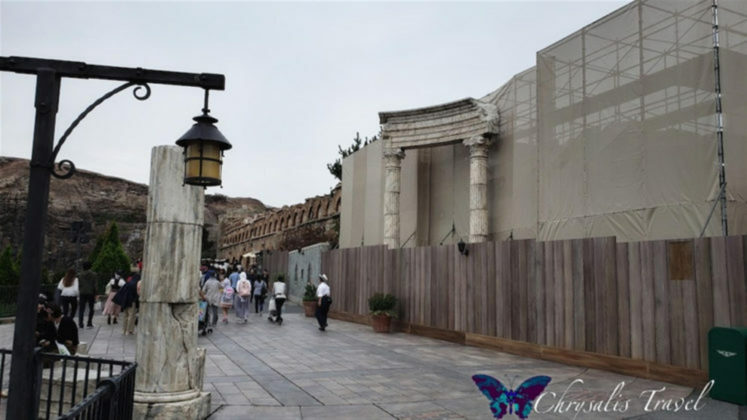 This very popular attraction, which has been enjoyed by guests visiting the Disney parks outside Japan, can soon be experienced at Tokyo DisneySea with original scenes and the newest visual images. 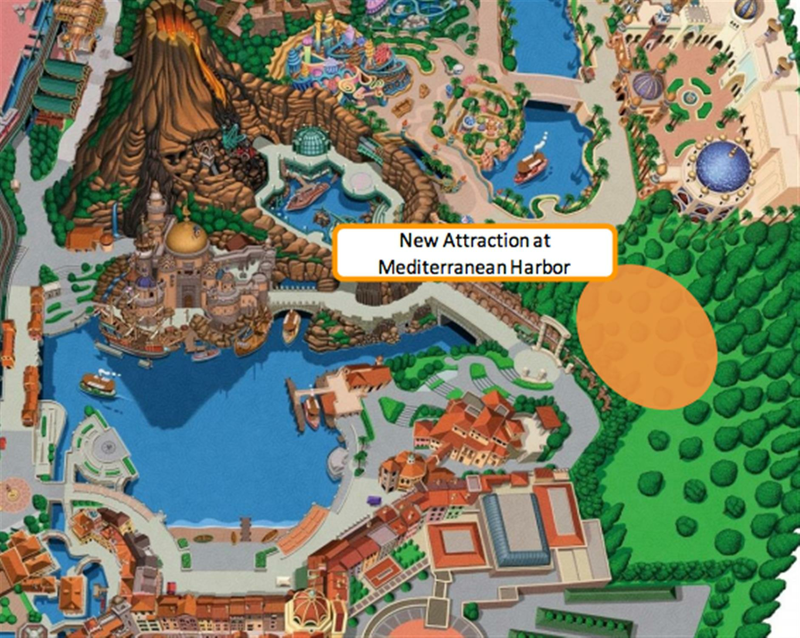 The attraction has a beautiful Italian-style façade that can be seen across Mediterranean Harbor. 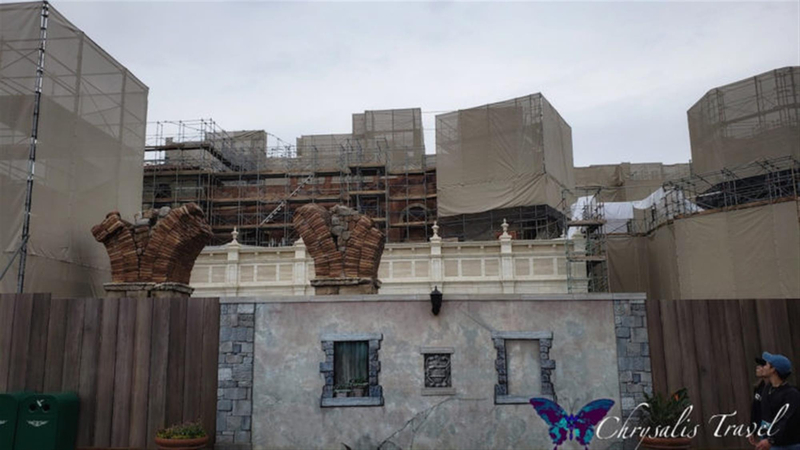 On a Fall 2018 trip Laughing Place featured author Gloria Hasler captured some photo of the scaffolding to coming down, revealing the detailed brick work of the ride building. 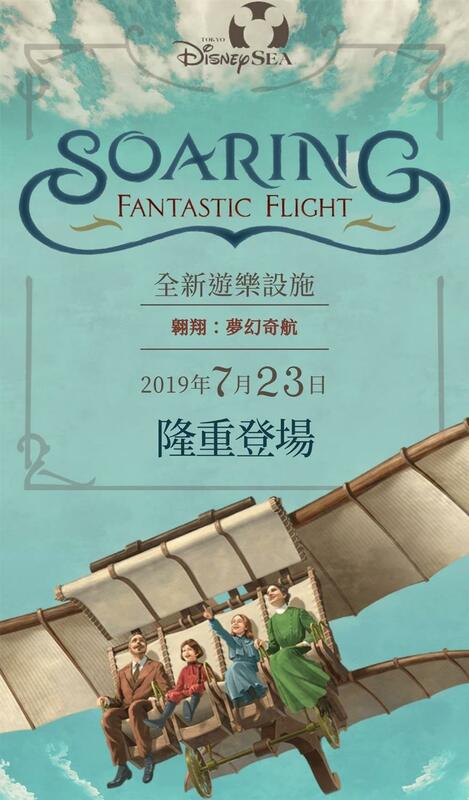 Soaring: Fantastic Flight will open on July 23, 2019.